I have often contemplated the delineation between sound and music. From a certain higher perspective, there is no delineation, for all sound could be perceived as music and all music is sound. However, with that said, I think you’ll agree that one person’s music can often be another person’s noise! Noise is usually defined as something like “unpleasant sound”. And noise certainly would be unpleasant music! But we all resonate to different sounds, and from this perspective what constitutes noise will depend on the listener. I know people who consider any sort of sound (including the crashing of garbage cans or the roaring of a lawn mower) to be music and other people who only consider certain very specific types of compositions as music. Unfortunately, this latter view cultivates a boundary that excludes genres which do not resonate with an individual’s personal taste, i.e. Heavy Metal is not music, nor is Tibetan Chanting, etc. But my purpose for writing on this subject is not to qualify what makes something musical instead of simply just being a sound . Such a perspective often encompasses judgment about something being good versus being bad. I don’t want to go there. Rather, my reason for differentiating sound and music is to break down the barrier which I think has created a major separation for people. This separation has caused many not to participate in sound healing because they think they are not musically inclined. I believe that until we break down this barrier, sound healing will never truly infiltrate the awareness and consciousness of the mainstream population. It will continue to be the “us and them” mentality that currently exists—musicians versus non-musicians. And that keeps the awareness and experience of sound as a healing modality from flourishing as widely as it could. Why? The bottom line is that most people think that sound and music are the same. 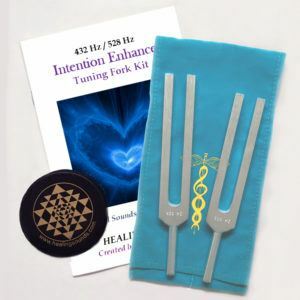 And therefore if you start talking about sound healing, the consciousness of most people will assume that you’re talking about music and begin to form critical judgments such as: I don’t play an instrument. I can’t read music. I’m not a trained vocalist. I can’t even carry a tune in a bucket. And so on…Ultimately ending in the thought: I can’t possibly participate in or experience sound healing. For most people who believe that music healing and sound healing are the same, the only option they’re willing to try is the experience of listening to a recording of therapeutic music. They believe that’s all they’re capable of as non-musicians. Listening to music can, of course, be extremely healing. But at the beginning of our presentations, Andi & I frame the concept of Sound Healing saying: “We are not talking about getting up and singing in front of an audience. That’s entertainment. And it can be very healing. 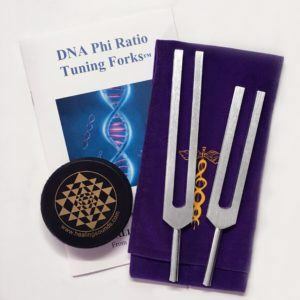 But what we are talking about is a phenomenon of physics called “entrainment”, in which the vibrations of objects literally shift their frequencies.” That is sound healing! Please note again, that these extraordinary benefits are not being generated through use of any sort of expensive device or an instrument that needs lots of practice. It’s not even necessary to have any special vocal ability vocal ability or be trained singer in order to experience powerful results. 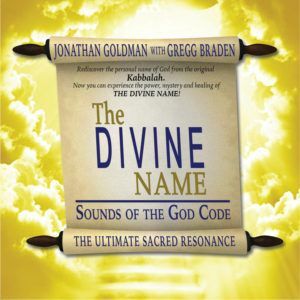 These various benefits occur simply through making self-created sounds that anyone can manifest. I created this delineation between sound and music to hopefully remove the common first assumption that they are the same. I hope that this thoughtform will serve to help open the world of sound healing up to as many people as possible. The highest goal is to remove any perceived barrier of an “us and them” mentality. If those of us teaching sound healing encourage this awareness, then sound healing becomes inclusive instead of exclusive (which often occurs when it is confused with music healing). From my perspective, we can all very easily learn to use our voice (among other things) as an extraordinary instrument of sound healing. Thus I ask all of you who are working with or exploring sound healing as a therapeutic modality to share this concept (information? understanding?) with others so that they too may experience the extraordinary healing power of sound. Through this perspective we can all share the gift of healing sounds with everyone. Thank you Jonathan for this. I am one who has not been “musically” trained, that being said I do Sound Healing “Concerts”. I use a variety of instruments one of which is my voice, again not trained, just using the vowel sounds I learned from you. I have people talk to me afterwards that say they like to buy or use instruments they don’t know how to play to which I reply, “Me too.” One woman even started crying because said her husband thought she was crazy for buy instruments she didn’t know how to play she just loved the sounds they maid. I invited her into looking into Sound Healing. Again Thank you for all you and Andi do. I had a dream night before last I was freeing a bird from a cage, caught it in my hands as it tried to fly past me and soon as I let it fly it hit the wall and crashed, poor thing. I picked it up and saw its ruffled eye feathers and I stroked its lil head and held it against my heart, feeling only love for it with the intention of healing it’s wounds. Then my heart started purring!! It sounded like a tiny lawn mower engine! As I focused on sending love and healing into the bird my heart “idled up” what sounded like almost an octave higher in vibration…..